An Alpena County man had his life change earlier this week, after winning over $500,000.00 on a single scratch ticket. The lucky man who is 49 years old, chose to remain anonymous. He purchased the 5-dollar ticket at the Alpena West E–Z Mart located at 1000 M–32 West in Alpena. The player visited lottery headquarters in Lansing this week to claim his prize, and said he has plans to pay off his bills, take a trip to Disney world, and retire earlier than he had planned. 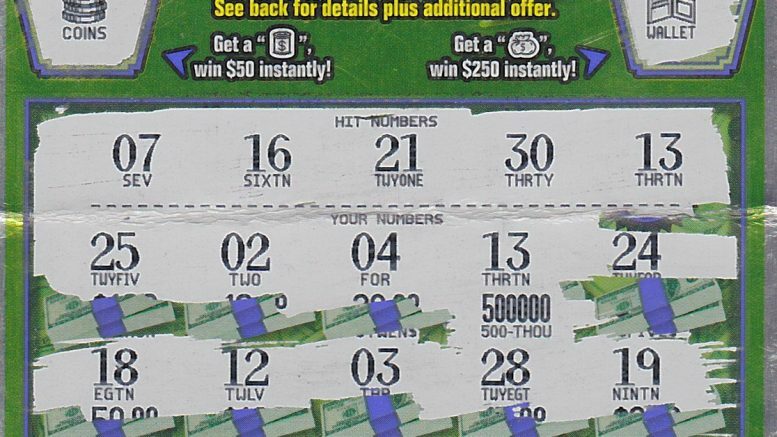 According to the Michigan Lottery, players have won more than 16 million dollars playing the same ticket; the hit 250-dollar instant game, which debuted in April of 2016. They also say that there are two $500,000 prizes in circulation statewide.